In Vietnam the terms "speech-language therapy" and "speech-language therapist" are used, rather than "speech-language pathology". To improve the quality of life of the many Vietnamese children and adults who suffer from communication and swallowing disorders. To raise the awareness in Vietnam of Speech-language Therapy as a profession. To provide the knowledge, clinical skills and finance to establish formalised educational courses in Speech-language Therapy in Vietnam. 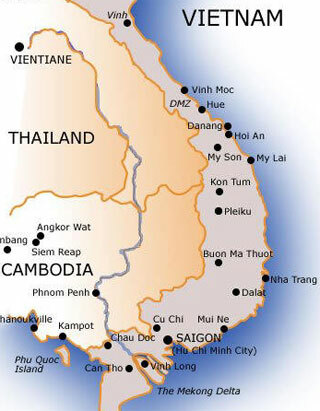 It is estimated that over 13 million people in Vietnam have communication disorders and swallowing disorders. As social beings, we have a basic human need to be able to communicate with each other. There is enormous need for speech therapy in Vietnam but, until September 2010, there were no formal training courses for speech therapists. TFA's approach is focused on capacity building and skills sharing. With its partners in Vietnam, TFA instigated, developed and supported Vietnam’s first ever, two year postgraduate speech therapy training course. In 2012, the first group of 18 Vietnamese Speech Therapists graduated from University of Medicine Pham Ngoc Thach in HoChi Minh City followed by the second cohort of 15 Vietnamese Speech Therapists on 2014. As of December 2015, there are 33 qualified Vietnamese speech therapists working throughout Vietnam. They are establishing new speech therapy clinics in Ho Chi Minh City, Lam Dong, Ba Ria, Hanoi, and Hue. In addition to the speech therapy training course TFA also provides interpreter training, ongoing professional development for graduates and have facilitated the development of a number of resources in Vietnamese including a glossary of speech therapy terms and information booklets about various communication difficulties. The Trinh Foundation relies on the generosity of speech pathologists who donate their time to act as lecturers, workshop presenters and clinical educators in Vietnam. So far 78 Australian speech pathologists and academics have donated their time to the Trinh Foundation in Vietnam. If you would like to volunteer, information is available here. If you are not able to volunteer but would like to support the work of the Trinh Foundation Australia, you can become a “Linchpin for Trinh” by organising an event to raise funds for this great cause. You can also become a regular personal donor. See our website for more information about donations and fundraising. There has been great interest in speech therapy in many areas of Vietnam where speech therapy is known as “Âm Ngữ Trị Liệu" (Âm=speech; Ngữ=language; Trị Liệu=specialist/helper/therapist) or “Ngon Ngữ Trị Liệu” (linguistic therapist, a term proposed at a meeting of government, hospital, and rehabilitation professionals in Hanoi in 2000. Speech therapy is still a nascent discipline in that southeast Asian country though huge strides have been made by Trinh Foundation Australia (see above) through their speech therapy training program at a university in Ho Chi Minh City. Most of the interest in speech therapy seems to be from rehabilitation specialists (physicians, physical therapists, and nurses in rehabilitation departments), dentists, ear-nose-throat physicians, and teachers. There has been attention from others as well. Although there still needs to be many more services to help people with communication disorders and special needs in Vietnam, each year there seem to be more efforts made there to increase assistance for those individuals. There are efforts through various governmental agencies and national organizations to address the cause of individuals, especially children, with special needs. Non-governmental organizations (NGOs) and individual clinicians from outside Vietnam also have been helping to sponsor activities designed to increase awareness of how to help people with speech, language, and related disorders. There is a small Speech Therapy Unit at Bach Mai Hospital in Hanoi. There is speech therapy also being done at the locations where graduates of the Trinh Foundation Australia program work. The Rehabilitation Department of the National Institute of Pediatrics (Vien Nhi Quoc Gia) in Hanoi has some speech therapy services and there are several people at that hospital with the job title of speech therapist. They have sponsored speech therapy workshops at their hospital and have also gone to other provinces to help others learn more about speech therapy. Some medical, dental, and other organizations in various countries might include speech pathologists on volunteer missions in Vietnam. You would have to find and investigate the different groups to determine that. You can sometimes check the website of a country’s embassy or consulate in Vietnam to learn of projects that country might sponsor or list as a resource in Vietnam (search: Embassy of [country] in Vietnam). You can also check the Chamber of Commerce for a country with employees/projects in Vietnam and occasionally see links or contacts there re: projects they are aware of or supporting. To find the chamber of commerce for a country or that is representing a region of countries in Vietnam, do a web search for that (e.g., search: [Country] Chamber of Commerce in Vietnam; examples include the American, Australian, Canadian, European [region], Italy, etc.). For the following Vietnam phone numbers, be sure to dial your country’s international access / country code. Email to some Viet Nam addresses has a tendency to "bounce" - keep trying! The accuracy of the following addresses HAS been confirmed. A "bounce rate" of 50-60% is not considered unusual. She has been President, Physical Therapy Association in HCMC. She is very interested in speech therapy; she has coordinated a courses on speech therapy in HCMC. Dr. Hanh’s training in speech therapy is via independent study, working with speech therapists (speech-language pathologists) from other countries, and attendance at classes or seminars given in Vietnam by visiting speech therapists. She has also observed speech therapy in Salt Lake City, Utah, and New Orleans, Louisiana, USA. She wrote her dissertation for her Doctor of Philosophy degree (Tien Si) on speech issues related to cleft palate. She has taught classes in speech-language therapy in Hanoi to people interested in learning more how to help people with communication disorders. She has long been considered a leader in speech therapy in Vietnam and as one who would like to see more speech therapy training and services in her country. Co-Founder, Speech Therapy-Vietnam Project (associated with Operation Smile); has worked on a volunteer basis in southern, central, and northern regions of Vietnam (i.e., HCMC, Can Tho, DaNang, Dong Hoi, HaNoi, Thai Nguyen/Bac Thai). Co-founded the (discontinued) vnspeechtherapy.com website with Giang Tang Pham, PhD, CCC-SLP. It is now based at the website maintained by Dr. Pham, here. Founder and Director, Viet Nam Laryngectomee Humanitarian Project (donations of electrolarynx devices, tracheoesophageal prostheses, other equipment, and funds can be made to this project via Deseret International non-profit organization). Dr. Nhan was the founder of the Office of Genetic Counseling and Disabled Children (OGCDC) and has worked there in the position of volunteer director. She has also been head of the Department of Medical Genetics in the Hue College of Medicine and Pharmacy and is a leader in Viet Nam in the prevention, evaluation, and intervention for people with genetic syndromes and disabilities. Dr. Pham is assistant professor and director of the Bilingual Development in Context (BDC) Laboratory located in the Speech, Language, and Hearing Sciences Building at San Diego State University. You can find more information about Dr. Giang Pham at this link: http://slhs.sdsu.edu/people/faculty/giang-pham/ and at this link: http://www-rohan.sdsu.edu/~gtpham/bdc/welcome.html. This organization has a training program in Vietnam for teachers of children with hearing impairments, their family members, and others involved with the care and education of children with hearing loss. This program includes training in auditory-verbal techniques, educational programs for children with hearing impairment, and hearing aid assessment and fitting. There is information about the project here and here.